We Design, Build and Deliver Top Ranking Ruby on Rails Websites. 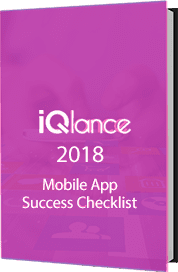 IQlance provides services to support offshore companies, SME’s . Many web development firms improve bottom-line results with Ruby on Rail development and IQlance is one of them. Our team provides support in ROR web Development in Canada. Our expert hiring model helps you extend your team in order to gain competitive advantage. You manage your Ruby on Rails developer from a remote location, get timely project updates and take complete charge of your team. Our RoR developers will work exclusively for you to boost your business with latest trends and provide QA for this. We practice SCRUM and DSDM combined with best Web 2.0 standards. We follow expertise development processes which saves you time and money. To ensure smooth running of process, we evaluate client ideas, expand on them and develop a sound strategy. The ideas then undergo designing to give them a structure and to make sure that final outcome looks good and is user friendly. We select expert RoR developer from our team of dedicated resources. Our expert developers build highly efficient codes using platforms that will make your website compatible to the changing technology market trends. The final application then undergoes testing to ensure it is safe and secure.